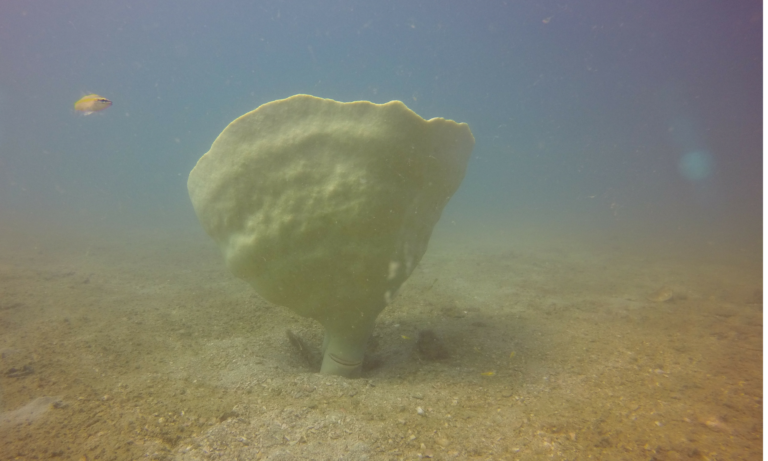 A seahorse survey conducted by Fauna & Flora international (FFI) and its partners in Cambodia’s first dedicated marine protected area has served up a spectacular surprise in the shape of a super-sized – and incredibly rare – sponge, the first official record for the country. Resembling a giant wine goblet, Neptune’s cup sponge has acquired almost legendary status among marine biologists, not least because it went missing for over a century. Until its rediscovery in Singapore waters in 2011, the species had not been seen alive since 1908 and was widely considered to be extinct. 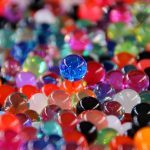 This once-abundant species was brought to the brink as a result of overharvesting by museums, private collectors and people with a penchant for novelty bathtubs – owing to their size, these sponges can be capacious enough to accommodate a child. Unlike the majority of sponges, which tend to anchor themselves on reefs, Neptune’s cup is found on sandy bottoms. This habitat is also favoured by many species of seahorse, which explains why the giant sponge came to light in the course of FFI’s survey work. Koh Rong Sanloem and Koh Koun, the islands closest to where this particular Neptune’s cup specimen was found, are hotspots for seahorses. Six out of the seven species confirmed to date within Cambodian waters are present at this site, and the project team is hopeful of finding the seventh – easily identifiable by its tiny snout – during future surveys. 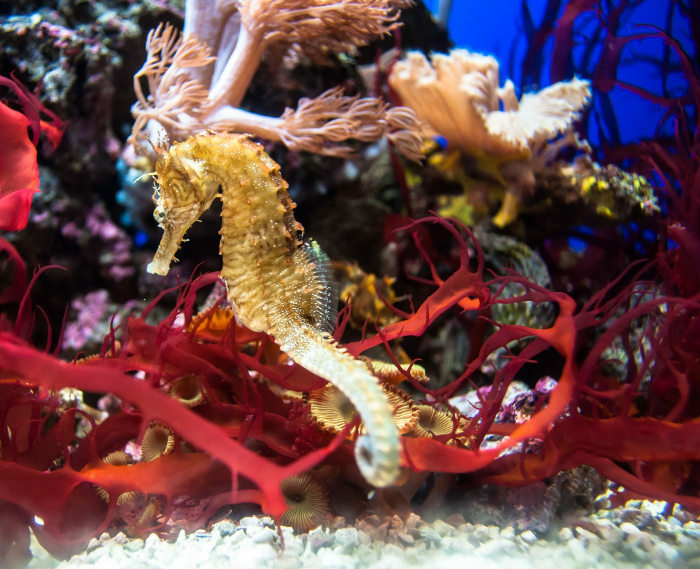 All seven of Cambodia’s seahorses are categorised as Vulnerable on the IUCN Red List. Anecdotal reports of the presence of Neptune’s cup sponge at an FFI project site in Cambodia were already circulating in 2017. The first sightings came from Koh Sdach Archipelago, where FFI’s field partner at the time, Projects Abroad, was leading a conservation volunteer project. The latest discovery at a second FFI project site – this time in Koh Rong Archipelago – is not only significant in its own right, but also suggests that the sponge’s sandy bottom habitat and the marine life found there have the potential to thrive when protected from commercial trawling, which can have a devastating impact on the seabed. 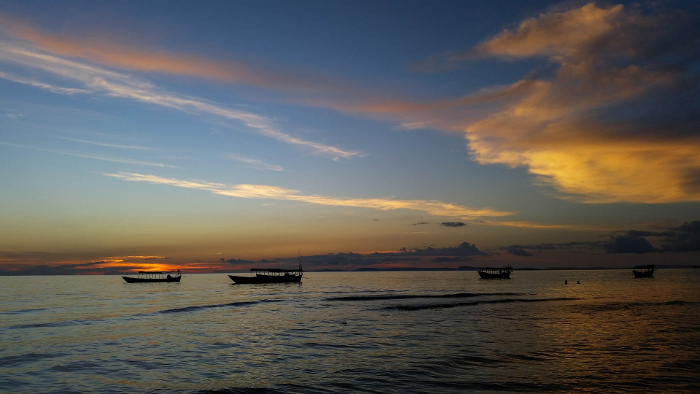 Cambodia’s coastline supports a wealth of marine biodiversity and a growing coastal population that is heavily dependent on these resources. FFI has been working in close partnership with the government’s Fisheries Administration and communities in Koh Rong Archipelago since 2011 to support locally managed protection of marine ecosystems including coral reefs, mangroves and seagrass beds. These efforts culminated in the designation of the archipelago in 2016 as the country’s first large-scale marine protected area. The community-managed waters – which remain open to small-scale coastal fishers – continue to support local livelihoods while ensuring that habitat is protected and resource exploitation does not exceed sustainable levels. Active patrolling by community members working hand in hand with the Fisheries Administration have been instrumental in ensuring the success of the official protection measures. The presence of this precious sponge is an unexpected bonus and hints at the possibility of further revelations in the course of FFI’s ongoing survey work with its partners in Cambodia. Karenne Tun, one of the marine biologists who rediscovered the Singapore sponges in 2011, is understood to be “very excited” about the prospect of a new population in Cambodia. The next step will be to investigate the genetic similarity between the two populations. This article was originally published as Super-rare giant sponge discovered in seahorse hotspot by Tim Knight for Fauna & Flora International on 25/06/18.